Sign Up for Our HomeSavers Club This Spring! When it comes to HVAC Services in Columbia City, IN, Collier’s is the trusted company and has been for more than three decades. Among the many reasons that homeowners turn to us to take care of their heating and cooling is because of our HomeSavers Club. This maintenance program packages the regular inspections and tune-ups an HVAC system needs with extra benefits. Customers receive tremendous value from membership, starting with reliable heating and cooling systems that don’t waste money when they run. Posted in Air Conditioning | Comments Off on Sign Up for Our HomeSavers Club This Spring! Winter is technically over now that it’s the first week of April. 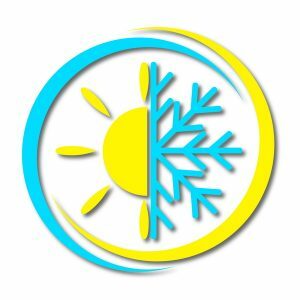 But winter isn’t really over until the weather outside says it is, and we can expect cool temperatures and a few cold days ahead before the spring starts to steadily warm up. As you get ready for the change in seasons, take some time to see if you need any heater service in Columbia City, IN. This may sound a bit strange, but trust us that a few precautions are worthwhile when it comes to your future heating needs. Below are a few services you might need to schedule for your heating before the cold weather goes on vacation for the middle of the year. This time of year can be a troublesome one for home heating systems like furnaces. The major cold weather is almost over, but furnaces have run for so many months that they’re more likely to encounter trouble at this point. We can’t emphasize this enough: no matter when you notice trouble with your furnace, or how deep into spring you notice it, always schedule furnace repair in Plymouth, IN right away. Delaying on repairs or letting them wait until fall can mean a worse repair—or a furnace that breaks down right when you need it. 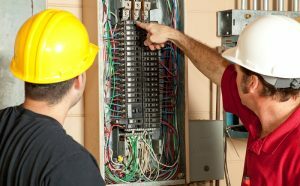 We’re going to look at a specific furnace problem you might run into this time of year, and it’s one you shouldn’t ignore—when the furnace causes a circuit breaker to trip when it comes. Please don’t keep resetting your breaker if this problem is happening! Something is overloading the circuit and it needs to be dealt with. How Serious Is Your Boiler Breakdown? A boiler is a great way to enjoy indoor comfort on even the coldest days. But when a boiler stops working—well, it’s just as miserable as when any other home heater stops working. Your first instinct may be to call for heating repair in Syracuse, IN from our HVAC professionals. That’s a great instinct to have because it’s much better and safer than trying to fix the boiler yourself or allowing an amateur to take a run at it. However, it’s always a good idea to make a few checks on the system that don’t involve using tools or anything extreme. A boiler may have stopped working for a simple reason you can remedy. 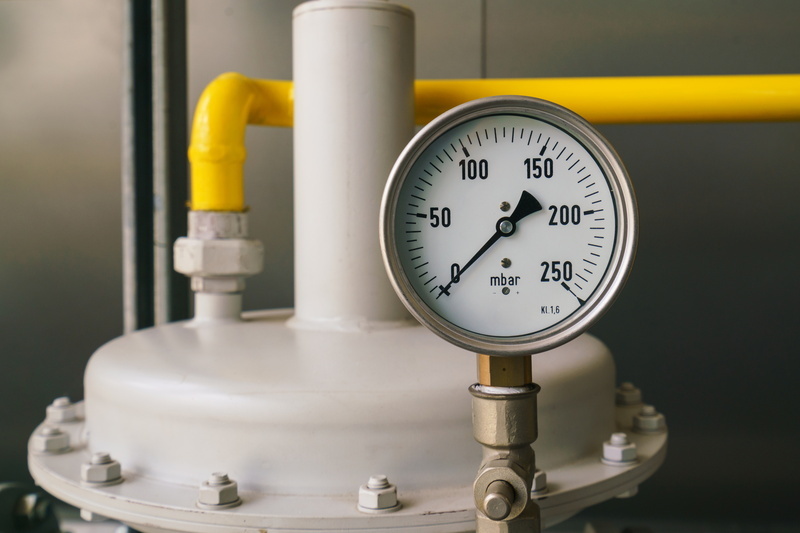 Before you call for a technician, here are a few things to consider to see if you have a serious boiler breakdown. 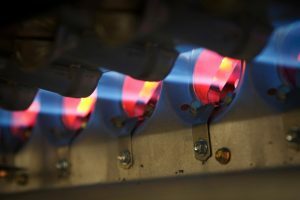 Posted in Heating | Comments Off on How Serious Is Your Boiler Breakdown? There’s a Burning Odor From My Furnace—What’s Wrong? We understand that any burning odor in a house is a concern. If your electric or gas furnace starts to give off some type of acrid odors (electric, plastic, gunpowder), you’ll want to know what’s going on and if it’s dangerous. The good news is that the majority of burning odors from a furnace don’t present immediate dangers to your household health. However, they can mean the furnace is on the verge of failure. When you’re worried about furnace odors, shut the system off and then call our technicians for heating repair in Bluffton, IN and elsewhere in North Central Indiana. We’ve listed some of the reasons you may smell burning odors from your furnace. Posted in Heating | Comments Off on There’s a Burning Odor From My Furnace—What’s Wrong? 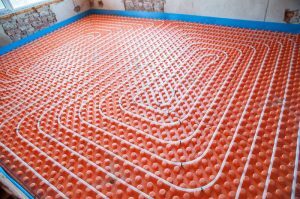 Radiant heating is a general term for heating systems that work by heating up an object in a living space so it sends out heat waves. Boiler systems are the most common type of radiant heating, and they often work through radiators and baseboard heaters. But an increasingly popular option for radiant heating systems is in-floor radiant heating. The boiler sends heated water through a series of pipes set into a sub-floor, so the floor itself heats up and sends warmth into a room. If you are currently considering choices for heating a new house, we recommend you take a look at some of the benefits of in-floor rating heating in Warsaw, IN. We’re dedicated to the local community, and making sure our neighbors have the best household heating through the winter is extremely important to us. That’s why we offer services like our HomeSavers Club so our customers receive the help they need to get through a winter without any heating system trouble. But there’s another important job we do for comfort, and that’s installing whole-house humidifiers in Fort Wayne, IN and the rest of our service area in Northern Indiana. The right whole-house humidifier can make a huge impact on comfort and energy savings during the winter. As you start to settle into the new year, you’ll be using your heater almost every day. Did you remember to have it maintained back in the fall? If you didn’t, please don’t skip it for the year. A heating system needs to have professional maintenance done annually, or else it will start to age rapidly, turn inefficient, suffer from more repair needs, and maybe even develop safety hazards. You may also void the manufacture’s warranty if you don’t keep current with maintenance. Where Is the Furnace Filter? How Do I Change It? We hope you’re reading this post because you have these questions on your mind—probably because you’ve seen mention on our site, or elsewhere on home service pages, that routine furnace filter changes are mandatory for top heating performance. 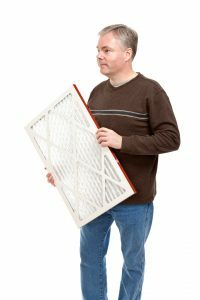 Yes, the air filter in your furnace must be changed regularly throughout the heating season. If your AC is housed in the same cabinet (and most are), then it shares use of the same filter and it needs to be routinely changed during the cooling season as well. Simple panel filters (which you can purchase in packs for about a dollar each) usually need to be replaced monthly, while stronger pleated filters can last from 3 to 4 months. Posted in Heating | Comments Off on Where Is the Furnace Filter? How Do I Change It? Can You Explain What a Pellet Stove Is? Many homeowners are unsure about the differences between fireplaces, wood stoves, and pellet stoves. To put it simply, a pellet stove is a type of wood stove. The “pellets” are just compact wooden pieces, like extra wood energy pressed into a smaller space. Typically, wood and pellet stoves are great alternatives for homeowners whose homes lack the space for a full fireplace and masonry chimney, or for homeowners who do not wish to go through the extensive remodeling necessary for to put in a full fireplace and chimney. Wood stoves work as space heaters, sending out heat both from the flames and radiating from their heated sides, making them helpful for added winter warmth. If you are considering a wood or pellet stove for your house, it is best to contact a local professional to help you make the right choice to match your specific needs. Collier’s Heating and Air Conditioning offers fireplace services. There are many advantages and some disadvantages to owning a pellet stove, so it is best to be aware before you make any decisions. Below, we explain both the benefits and potential drawbacks of a pellet stove. Posted in Fireplace | Comments Off on Can You Explain What a Pellet Stove Is?